Columbia, S.C. – In 2017, CCA SC’s STAR Tournament, presented by Sea Hunt Boats, enjoyed its first year of offering recreational anglers the opportunity to participate in a coast-wide tagged red drum fishing tournament. A set number of tagged red drum (48) were released into the coastal waters along the entire coast of South Carolina. All a tournament-registered angler had to do was be one of the first two to catch one of these tagged fish. The prize? One of two new Sea Hunt BX 22 bay boats complete with Yamaha motor and WESCO trailer valued at approximately $43,000. Along with encouraging anglers to enjoy recreational fishing, the STAR tournament was created as an extension of CCA’s conservation efforts. 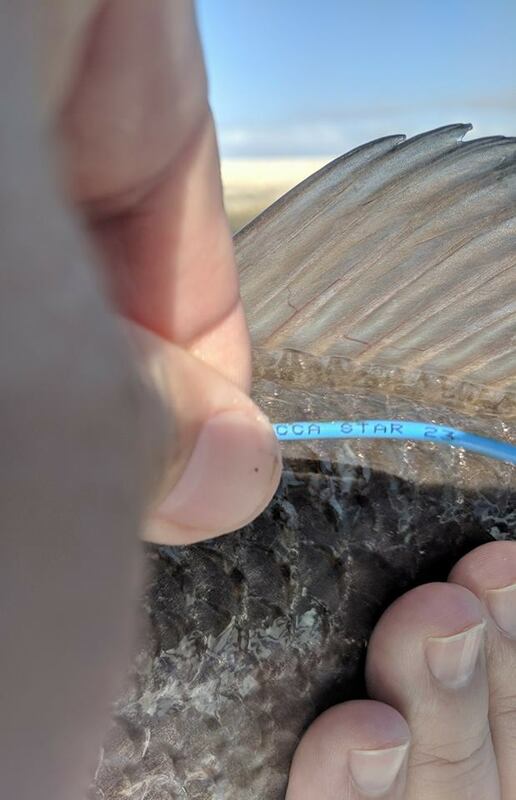 In addition to executing a successful tournament in year one, CCA SC was pleased that the results allowed the organization to support data collection efforts via funding for the marine gamefish tagging program. Overseen by the South Carolina Department of Natural Resources since 1974, the tagging program has helped promote conservation of marine gamefish and increased public resource awareness. Through voluntary angler participation, biologists have been able to use the program as a tool to gather critically important resource management information such as migration and movement of stocks, growth rates, and habitat utilization. The CCA SC STAR tournament will launch again this year with Sea Hunt Boats providing the title sponsor support, as well as two BX 22 bay boat, motor, and trailer prize packages valued at approximately $43,000. Fishing begins on Memorial Day and ends on Labor Day. Tournament anglers must be current CCA members and registered for the tournament to be eligible. To join today, go to www.ccasouthcarolina.com.